MOMO-2 rocket crashes to the ground shortly after its launch on Saturday, June 30. Photo Credit: Interstellar Technologies Inc./Youtube. 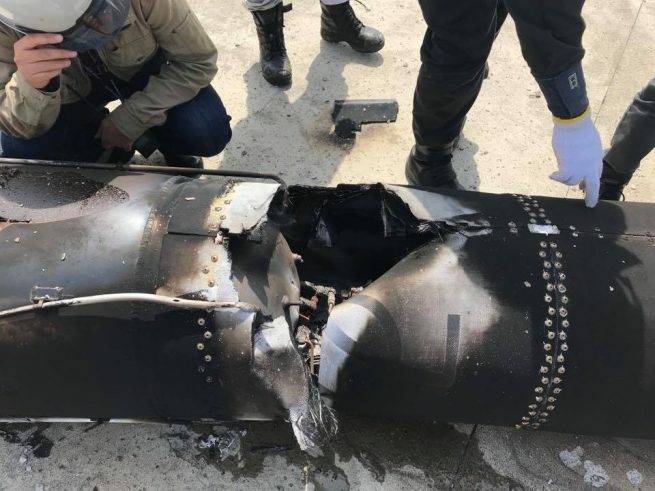 A small rocket developed by Interstellar Technologies Inc. (IST) fell to the ground, bursting into flames, shortly after its launch on Saturday, June 30. The rocket, known as MOMO-2, lifted off from a test site in the town of Taiki on Japan’s island of Hokkaido at around 5:30 a.m. local time (4:30 p.m. EDT on June 29). However, seconds after liftoff, the launch vehicle lost thrust and crashed to the ground. Japanese media outlets reported that the explosion caused no injuries and the area surrounding the launch site was cordoned off. IST president Takahiro Inagawa said that apparently a problem with the engine was the cause of the anomaly. He went on to apologize for the failure. “We could not accomplish what we were expected to do. I feel sorry for that,” Inagawa said. MOMO-2 was supposed to reach an altitude of at least 62 miles (100 kilometers). The rocket was 33 feet (10 meters) tall, had a diameter of 1.64 feet (0.5 meters) and a mass of approximately 1.15 metric tons. The company now plans to investigate the failure by analyzing the available launch data. IST founder Takafumi Horie called the incident an “unprecedented failure” and added that the company should make another launch attempt in the future. The first rocket developed by IST, MOMO-1, was launched in July of 2017 but communications with it were lost about a minute after it had lifted off. The booster only managed to reach an altitude of about 12 miles (20 kilometers) and splashed down into the Pacific Ocean. MOMO-2 was initially scheduled to take to the skies in April of 2018, however the company decided to postpone the flight due to a nitrogen gas leak found by engineers. The history of IST reaches back to 1997, when a group of space enthusiasts created a hobbyist organization aiming to develop a compact and convenient rocket design as well as to build a prototype engine to power a launch vehicle aloft. According to the company’s website, the mission of IST is to change the economics of space launch services, making it more economic to existing customers and accessible to entirely new markets. The startup plans to become the first Japanese company to send a rocket to space.